I always come home with the most amazing finds every time I shop at the Traverse Mountain Outlets! If you live in Utah please go check them out. 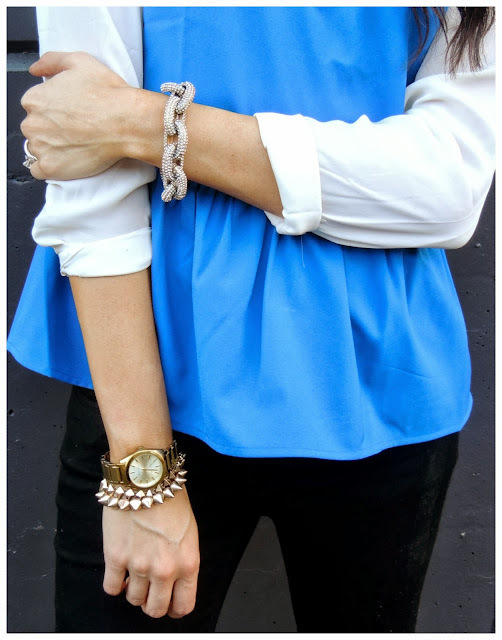 Obsessing over this royal blue peplum shirt I found alst week at Loft. This lovely tank is a perfect layering piece for fall and winter outfits. You can pair it with a blouse, blazer, or any collard shirt to give you a fun and flirty warmer look for the chilly fall days ahead. Love that top! You hair looks gorgeous! LOVE how you layered this girl! You look gorgeous! Perfect outfit! Seriously loving that top, the color is amazing. You look stunning!! Lovely peplum and sunnies. Your smile is fabulous dear. I'm your new bloglovin follower, nice to meet you! I would love if you could come over and follow me also on other socials. Just let me know and I'll do the same. Cute outfit! Please, stop by my blog when you get a chance! So pretty!! Love that color of blue.. Perfect peplum! I love this color! And the white blouse layered underneath the peplum is so cute! I love doing that under sleeveless dresses, I might have to try it with a top.